The G7, a self-selected club of like-minded industrialized countries, looks at first glance ill-suited to address current anti-globalist concerns. Despite this, it has successfully confronted anti-globalization, populist and protectionist pressures by focussing on concerns surrounding the destruction of the natural environment, immigration, transnational crime, drugs, disease and terrorism, thus d… emonstrating the social and ecological advantages that globalization brings. 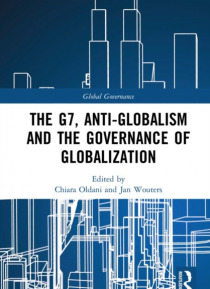 Exploring how the world's oldest informal summit institution continues to respond to rising anti-globalisation, populism and protectionism, this book investigates the contribution the G7 makes to global governance through its actions and accountability of its members. The expert contributors analyse from different perspectives the issues that have contributed to the rise of populism and protectionism, and how well the G7 has responded to them. Each contribution identifies avenues that might allow renewing and strengthening the role of the G7 in times of global change, with a view of strengthening its legitimacy and effectiveness.It will be of interest to policy makers, diplomats, scholars of international relations, international political economy, diplomacy, summitry and global governance. The issues discussed will also be particularly relevant to those working for civil society and non-governmental organizations seeking to participate in governance forums or to influence those who do.